This fabulous ranch home in Tallyns Reach is a must see w/its 5 bedrooms, remarkable finished basement, oversized garage & next to open space. The open floor plan features oak wood floors throughout the study, dining area & beautiful kitchen w/center island, espresso cabinets, walk-in pantry & open to the vaulted great room w/gas fireplace. Retreat to the master bedroom w/walk-in closet & private 5pc bath. 2 secondary bedrooms, a full bath & laundry room complete the main level. The phenomenally finished basement features a massive rec room perfect for entertaining, a huge exercise room, 2 bedrooms, 3/4 bath w/steam shower & storage space. The backyard deck overlooking the professionally landscaped yard is the perfect place to relax in this beautiful community w/an amazing clubhouse, outdoor pool & tennis courts. 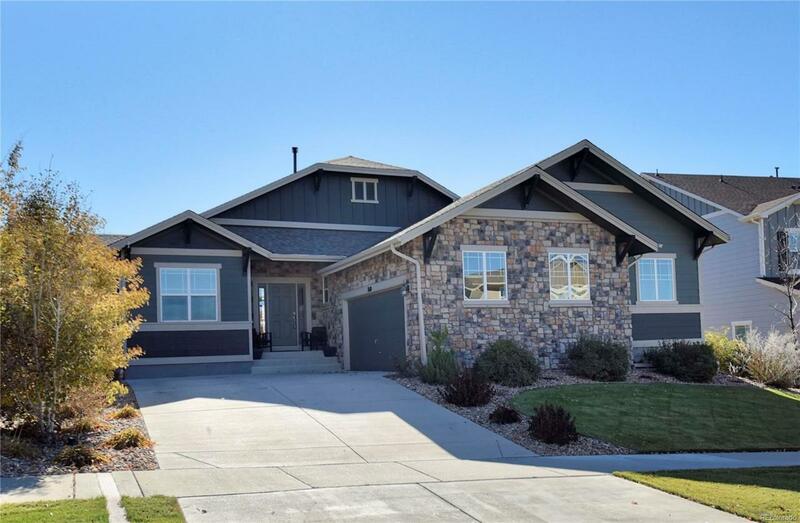 Great location near Red-tailed Hawk Park, multiple golf courses, Southlands Mall, Aurora Reservoir & E-470 for quick commutes! Highly rated Cherry Creek School District!